Although they live vastly different lives from the average consumer, celebrities often have to make hard decisions about their financial future, just like the 800,000+ people who file for bankruptcy each year. Below, we’ve put together a list of some of America’s most prolific actors who made the decision to file for bankruptcy in recent years. “Ain’t No Mountain High Enough” singer Marvin Gaye first filed for bankruptcy in 1976, making him one of the first high profile celebrities to do so. After a costly divorce, Gaye filed for bankruptcy to help him lift his lingering financial strain. To further lessen the blow, Marvin Gaye even gave his ex-wife rights to his next album, entitled “Here, My Dear,” in an attempt to make up for the $600,000 he owed her. In May of 2015, 50 Cent was said to be worth almost $15 million, earning him a spot in Forbes’ Five Wealthiest Hip Hop Artists. 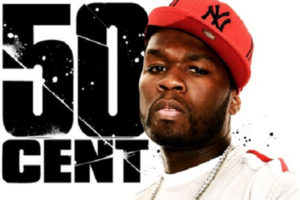 Due to bad investments and lawsuits, though, 50 was forced to declare Chapter 11 bankruptcy in order to reorganize his finances and develop a plan to repay his creditors. Over a year later, in June 2016, 50 Cent emerged from bankruptcy with a plan to repay over $23 million in debt. 1989 “Batman” star and prolific actress Kim Basinger found herself in a bad financial situation after backing out of the 1993 Drama “Boxing Helena,” and was forced to file for bankruptcy with an estimated net worth of $5.4 million. Since then, Basinger has been able to bounce back, starring in many movies since and earning a respectable, current net worth of $25 million. Like these celebrities, if you are in an unpleasant financial situation and don’t know where to turn, bankruptcy might be the answer. For a free consultation to discuss your options, call Sam Henry Law today! Rebuilding credit after bankruptcyDebt Collection- Know your Rights!